balance of comfort and simplicity. Belle's carriers are uniquely designed to give parents a stronger bond with their babies, and provide an unmatched user experience. Made in the USA. This design makes Belle the simplest, easiest to use, and most compact carrier on the market today. High-end backpacking buckles and webbing provide unmatched safety. Independent waistbelt brings weight down to your hips instead of the shoulders. Baby can face in or out in a natural ergonomic position that supports the developing spine. Removable head support included with each carrier. The Belle product line also features organic styles. 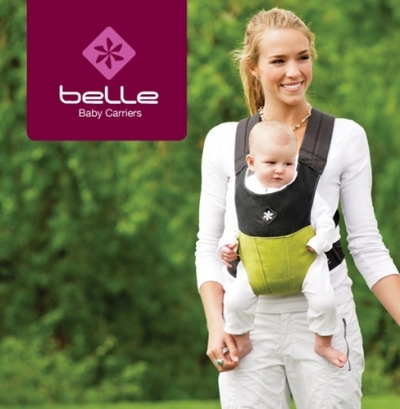 Belle Baby Carriers won Creative Child magazine’s 2010 Top Choice award in the Organic Baby Carrier category.